Asia-Africa Growth Corridor (AAGC): An India-Japan Arch in the Making? 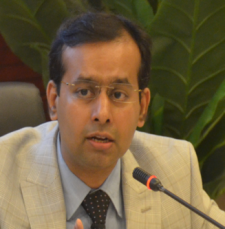 This paper examines the prospects of the ambitious Asia-Africa Growth Corridor (AAGC) – a collaborative vision between India and Japan to promote development, connectivity, and cooperation between Africa and Asia as part of a “liberal and value-based order.” While still nascent with few concrete details, Dr. Jagannath Panda argues that the genesis of this proposition draws from India’s and Japan’s increasing convergence of economic and strategic interests in the broader Indo-Pacific region, whereby concerns over China’s growing strategic influence, in particular through its Belt and Road Initiative (BRI), is one of the major factors. India’s and Japan’s co-envisioned Asia-Africa Growth Corridor (AAGC) was announced at the 52nd Annual Meeting of the African Development Bank (AfDB) summit in Gandhinagar, India, on May 22-26, 2017. During the announcement, Prime Minister Narendra Modi stated that both India and Japan aim to achieve closer developmental cooperation in Africa. The presence of African and Japanese representatives at this meeting made the announcement significant. Noteworthy too was that it was made amidst the backdrop of China’s Belt and Road Forum (BRF) meeting held on May 14-15, 2017, in Beijing. Many countries, including Japan, attended Beijing’s BRF meeting. While Tokyo remains cautious of China’s initiative, Liberal Democratic Party secretary-general Toshihiro Nikai participated in the event. Significantly, however, India did not take part, with New Delhi releasing a statement regarding India’s non-participation. India’s decision not to attend the BRF meeting had led many to speculate that the announcement of the AAGC is a calculated effort of India, along with Japan, to counter-balance China’s Belt and Road Initiative, in particular its outreach programs in Africa and the Indian Ocean Region (IOR). Indeed, many comparisons have been drawn between the AAGC and China’s Belt and Road Initiative, since both encompass Africa and the Indian Ocean as key constituents. Chinese strategic circles have responded critically to the AAGC initiative, arguing that the AAGC is a “duplication of the freedom corridor” that was originally proposed by Japanese Prime Minister Shinzo Abe during his 2016 meeting with Modi in Tokyo. In order to more potently examine the AAGC, this paper is structured as follows. 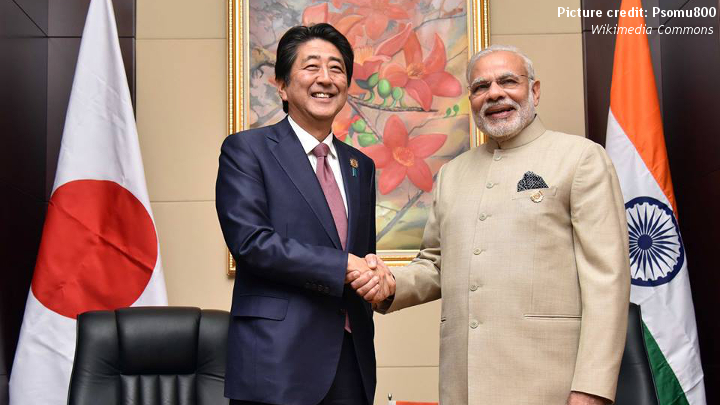 The first part examines how the AAGC is an outcome of India’s and Japan’s coordinated Indo-Pacific vision of 2025. It then proceeds to survey both countries’ growing interest in Africa more generally, including the necessity of establishing linkages between Africa and Asia. The next part outlines the strategic challenge of China which has led, albeit not exclusively, to the growing convergence of interest between Japan and India to accumulate strategic advantage in the Indo-Pacific. Finally, the conclusion offers some thoughts on the future outlook of the AAGC. Japan’s Opaque Energy Policy toward Russia: Is Abe Being Trumped by Putin?